Micromaxx Smarty 4.3 A65, a dual-SIM SmartPhone featuring 4.3-inch TFT display with WVGA(480*800)pixel resolutions. It is powered by 1GHz single-core ARM Cortex A5 processor with 512MB RAM. The Smarty A65 runs on Android Gingerbread 2.3.5 OS. It comes with 4GB(190MB usable) of storage expandable up to 32GB with a microSD card. 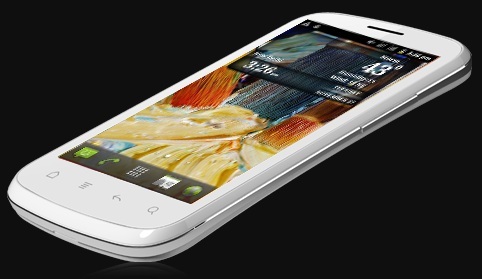 Smarty A65 sports 2MP* rear camera with flash and 0.3MP front-facing web camera. Connectivity options includes WIFI, BlueTooth v 2.1,EDGE,USB 2.0. Other features includes proximity Sensor, gravitational Sensor, 3.5 mm audio jack. It comes with 1350mAh battery which claims a back up of upto 5Hrs Talktime and upto 200Hrs Standby. 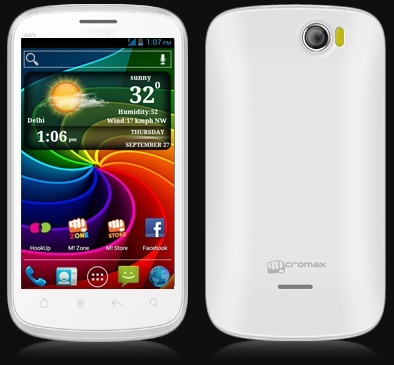 The Micromaxx Smarty 4.3 A65 comes with a price tag of Rs 4,999INR via Flipkart. All these on top of Spreadtrum chipset. *, abbreviations used(MP-mega pixel,INR-indian rupees, Rs.-rupees,TFT-Thin Film Transistor,GHz-Giga Hertz, MB-mega bytes, GB -giga bytes, OS- operating system, SD-Secure Digital, Hrs-hours, mAh- milli-ampere-hour, RAM -random access memory, WIFI -Wirless Fidelity, WVGA-Wide Video Graphics Array, ARM- Advanced RISC machine,RISC-Reduced Instruction Set Computer, EDGE-Enhanced Data for GSM Evolution, GSM-Global System for Mobile communication, USB-Universal Serial Bus). Tags:Micromaxx Smarty 4.3 A65, Micromaxx Smarty 4.3 A65 features, Micromaxx Smarty 4.3 A65 specifications, Micromaxx Smarty 4.3 A65 review, Micromaxx Smarty 4.3 A65 details, Micromaxx Smarty 4.3 A65 availability, Micromaxx Smarty 4.3 A65 specs, Micromaxx Smarty 4.3 A65 images, Micromaxx Smarty 4.3 A65 pics, Micromaxx Smarty 4.3 A65 pictures, Micromaxx Smarty 4.3 A65 price.